Rats are classed as a Public Health Risk as they can carry and pass on potentially fatal diseases such as Weil's Disease, they can also carry food poisoning bacteria such as salmonella. Rats will invade gardens, sheds, compost heaps or even domestic or commercial properties in search of food or shelter. Household waste may also encourage rats as this can provide food and shelter. Rats can breed very quickly, and can produce up to 4/5 litters a year with up to 8/10 young per litter, this makes it very easy for an infestation to build up very quickly un-noticed. 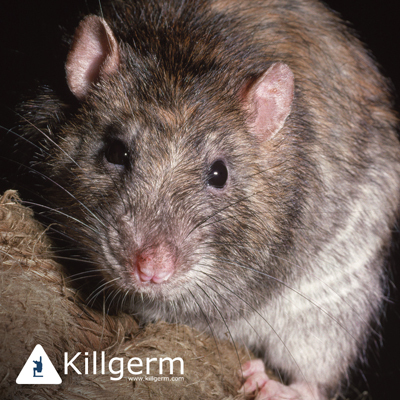 There are many precautions you can take to reduce the chances of getting a rat infestation. Avoid build-up of rubbish which could attract, and act as shelter for rats. Make sure that where pipework goes through walls that it is well sealed around the edges, any gaps could encourage rats to get in to the property. When feeding the birds, make sure that all food is on a bird table, bird feeders or off the ground so rats can't get to it. Clear away any spillages. Food businesses should get rid of food waste in sealed containers. Make sure doors fit snugly within their frames, avoiding any gaps at the bottom. Compost heaps are highly attractive to rats as they are a source of both food and shelter. We offer a free treatment for rats both indoors and outside for domestic properties, and investigate any reports of rats on public, private or commercial land. If the rats are under floorboards or in roof spaces you will need to provide us with access to the area as we do not lift floorboards, cut holes in ceilings or lift roof tiles. Access must be made before the officer arrives at your property or no treatment will be carried out.